Movie Night at the HAC! Special Screening of "I am not a Rockstar"
Movie on the big screen starts at 7pm followed by discussion with Marika. Admission is free. Donations for the Steinway fund gratefully accepted. Come on down and enjoy an evening of great music through the eyes of a teen prodigy! Described as “the Celine Dion of classical” by The Huffington Post, MARIKA BOURNAKI is at once a world-class performer, dazzling pianist, vivacious young woman and one of the freshest faces on the classical music scene. Ms. Bournaki not only brings distinctive interpretations to favorite standards, but extends her passion for music by commissioning works from younger composers and collaborating with artists from various fields. Marika Bournaki has appeared as guest soloist with the symphony orchestras of Montréal, Quebec and St. Petersburg along with Romania’s Timisoara Filharmonica, Switzerland’s Verbier Chamber Orchestra and Canada’s Orchestre Métropolitain. 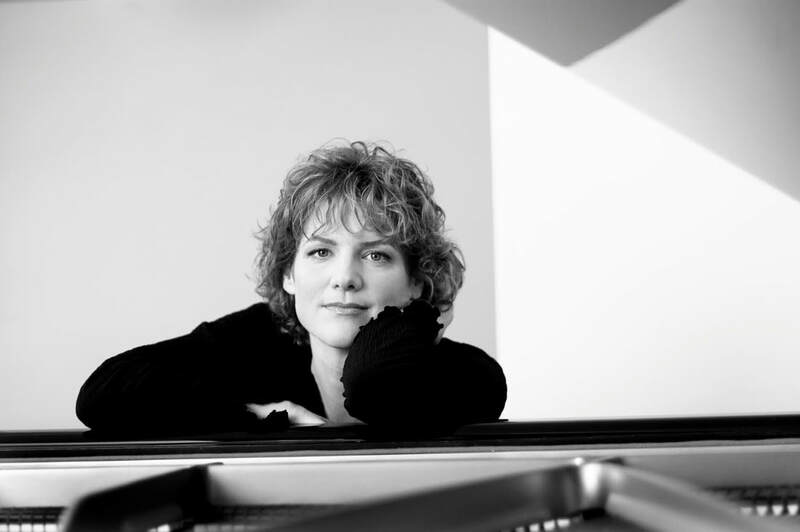 In addition to a benefit recital for the Glenn Gould Foundation at New York City’s Carnegie Hall, she has been presented in solo recitals and chamber music collaborations throughout the United States, Canada and the world, including Belgium, England, Germany, Greece, Italy, Romania, Switzerland and South Korea. A devoted chamber musician, Marika Bournaki performs regularly at Brooklyn’s Bargemusic, the Cape Cod Chamber Music Festival and the Frankly Music series in Milwaukee, while serving on the faculties of the Eastern Music Festival and Canada’s Lunenburg Academy of Music Performance. She tours internationally with duo partner cellist Julian Schwarz, and together won 1st prize in the 2016 Boulder International Chamber Music Competition’s “The Art of Duo.” Ms. Bournaki is also a member of the Mile-End Trio with Mr. Schwarz and violinist Jeffrey Multer. 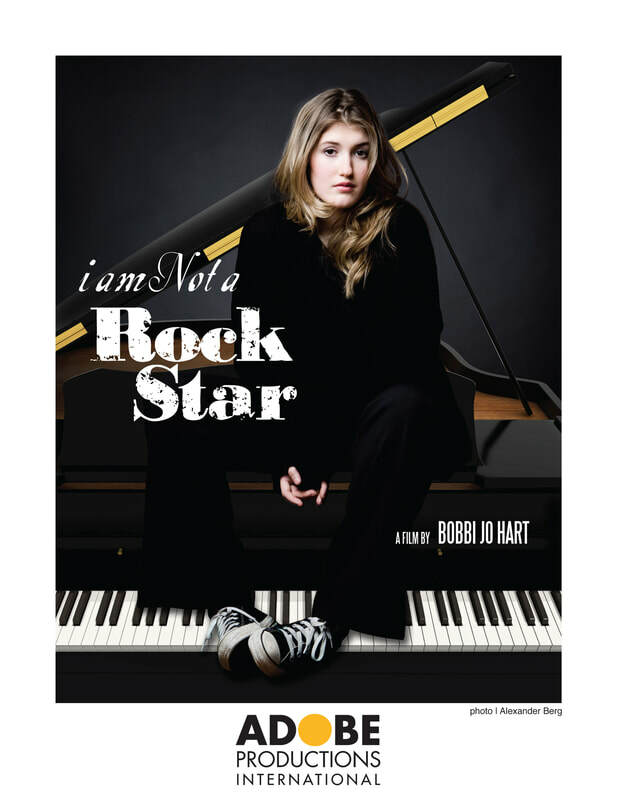 The award-winning documentary “I am Not a Rock Star,” featuring Marika Bounaki and directed by Bobbi Jo Hart, has captivated international audiences of all ages. The feature-length film chronicles Ms. Bournaki’s evolution as an artist from the age of 12 to 20. A runaway success at multiple film festivals throughout the world, screenings of “I am Not a Rock Star” and solo performances were recently presented in Chicago, Dallas, Memphis, Miami, Napa Valley, Palm Springs, Toronto and Vancouver, as well as in Greece, México and Spain. The film has also been seen in Greece (ERT), The Netherlands (NTS), Norway (NRK), Sweden (SVT) the United Kingdom (BBC4), Australia (SBS) and New Zealand (Sky). The documentary is the recipient of awards for Best Arts Documentary and Best Editing from the 2014 Canadian Screen Awards. Marika Bournaki’s innovative approach to her art and performance is reflected in a number of multimedia projects intended to reach out to new audiences. Additionally, her role as Ambassador to the Orchestre Symphonique de Montréal’s summer event, “A Cool Classical Journey,” afforded new and stimulating ways to share her music with the public. Marika Bournaki holds both Bachelor’s and Master’s degrees from The Juilliard School, where her principal teachers were Yoheved Kaplinsky and Matti Raekallio. She makes her home in New York City. Tickets available online or at the door. To purchase online, click below! Gypsy Mania “Hot Club” Quartet, a Twin Cities-based swing Jazz band, performs a timeless jazz tradition commonly known as Gypsy Jazz, a blend of traditional Roma music and swing jazz. Originating in Paris in the early 1930s, the ‘Hot Club’ jazz tradition brings back happy memories of the swing jazz era, and for all an opportunity to nod, tap, or hit the dance floor. Their music keeps audience members on the edge (or out) of their chairs due to the band’s formidable improvisational prowess, exceptional stylistic dimension and fresh original compositions. – a group not to be missed. Joan Hutton is an educator, performer and composer residing in Minneapolis and originally hailing from Toronto, Canada. 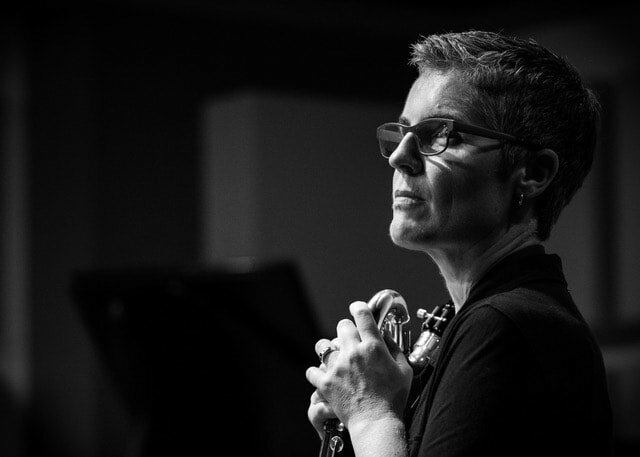 She has been a member of the Ancia Saxophone Quartet since 1996, a group that performs and presents educational clinics nationally and internationally. Ancia is featured frequently on National Public Radio’s “Performance Today.” Joan plays saxophones and bass clarinet with the jazz-funk sextet Rare Medium, and composes many of their tunes. Her newest group, the Joan Hutton Jazz Project, was formed early in 2017 to feature her original compositions (www.joanhuttonjazz.com). Other performance activities over the years have included solo recitals, orchestral playing, pit orchestras, big bands, jazz combos and R&B/rock/blues bands. Joan holds music degrees from Ithaca College and the Eastman School of Music. She is the saxophone instructor at Augsburg University and has a large studio of private saxophone and clarinet students around the Twin Cities.